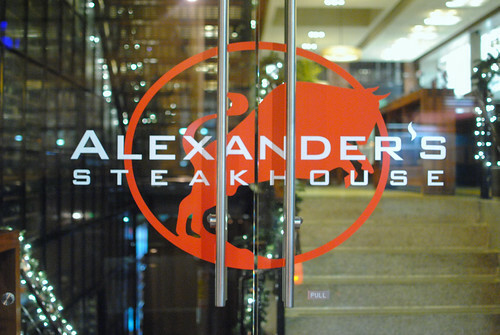 I’ve wanted to try Alexander’s Steakhouse for some time. I love a good steak and Alexander’s is one of the more highly regarded steakhouses on the West Coast (and perhaps country). 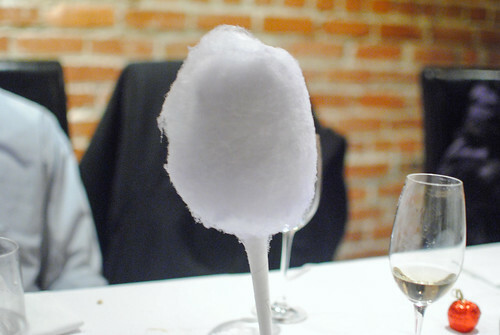 The original location, in Cupertino, garnered a Michelin star in the inaugural Bay Area guide and has maintained it ever since. A San Francisco location opened up in 2010 serving up the same American steakhouse fare with a bunch of Japanese influences. I tend to think my favorite steakhouse is Beverly Hills’ CUT, but figured Alexander’s would be a strong competitor to that. It took a couple of years, but my family and I finally dined at the restaurant for my grandmother’s (surprise!) birthday. 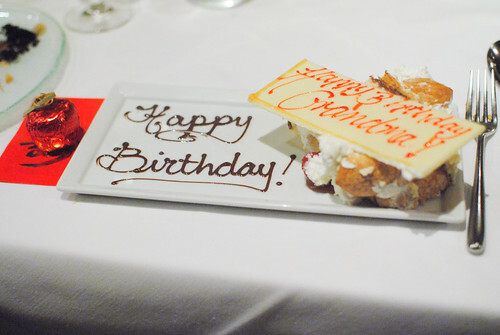 Over the years, this birthday dinner has become a bit of a tradition with previous birthday dinners at The French Laundry, Masa’s, Quince, Murray Circle, Cyrus, and The Dining Room at the Ritz Carlton. 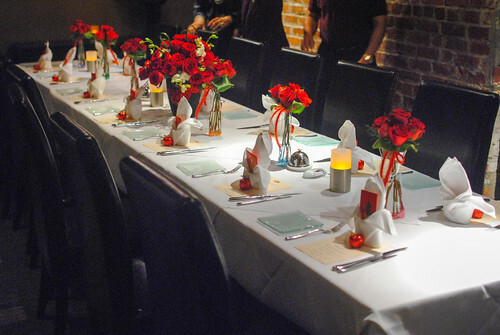 Alexander’s seemed to be the ideal choice for our carnivorous family, and the large restaurant was able to accommodate a private party for our extended family and friends. Given the recent lift on imported Japanese beef, I’ve been hearing of restaurants here and there with true Japanese wagyu. 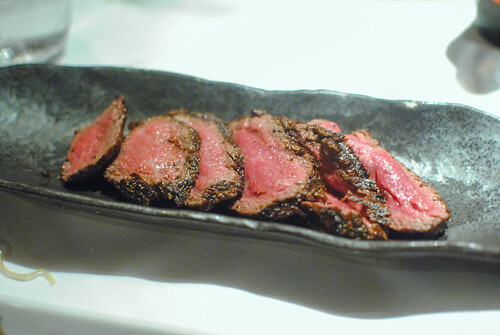 However, Alexander’s offered cuts of wagyu from five different prefectures. Unheard of! I believe they all ranged from ~$30-45 per ounce. 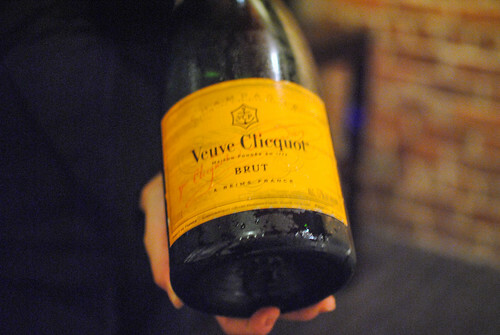 A magnum of bubbly helped to celebrate the occasion. Because of the size of our party, the menu was a carefully-crafted set menu of three courses with a few options to choose from. But first, a few appetizers came to the table to begin dinner service. 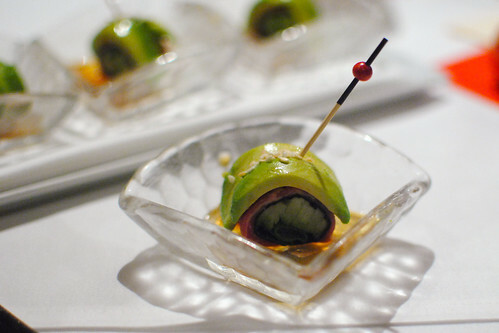 Rich and meaty with the avocado, the ponzu was a nice way of lightening things up a bit. The cool crunch of cucumbers added some texture. 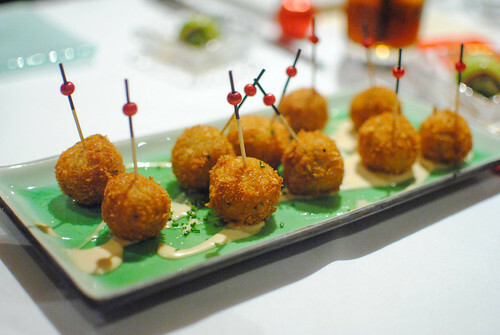 I enjoyed the crispy exterior, well-fried, with its creamy crab filling. 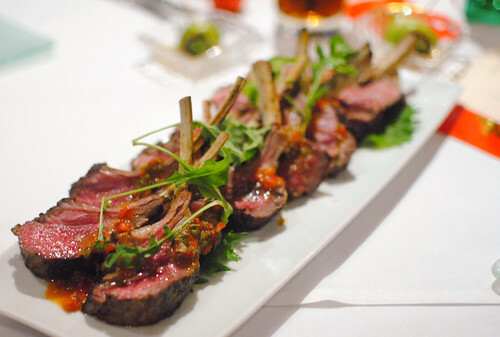 I though these lamb chops were delicious, topped with a bright, acidic sauce that really complemented the lamb. However, the rare meat was under-cooked for my liking, yielding some fairly chewy bites. 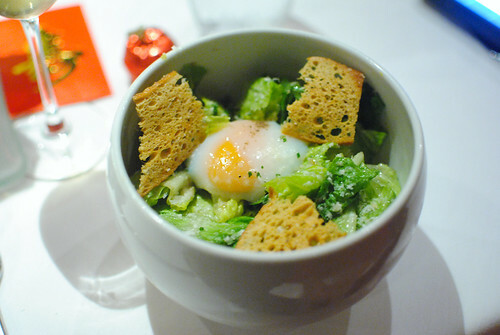 With the completion of the beginning courses, each diner chose between a salad and scallop dish. 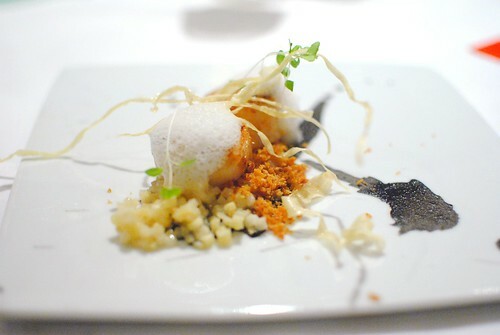 I went with the scallop. It was seared well with a still-raw center and I enjoyed the texture of the crumble. A little bit of truffle essence came through as well. 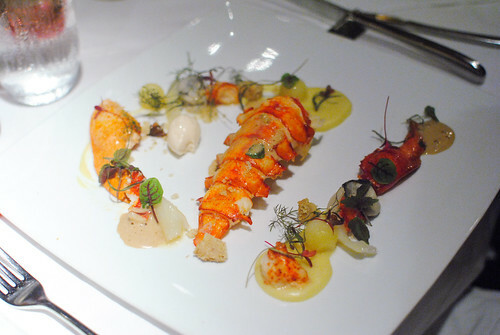 For the main course, two steaks and one seafood option were available. I ordered the ribeye (of course). I thought it was cooked perfectly, leaving it juicy and tender. 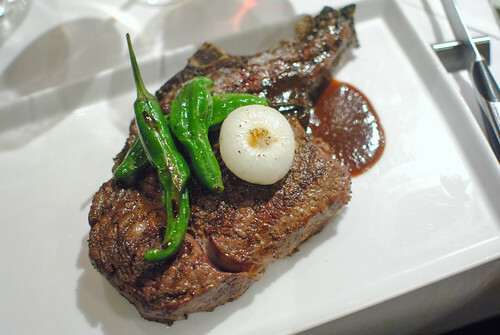 I found it to have a good beefy flavor too, complemented by the smoky charred exterior. 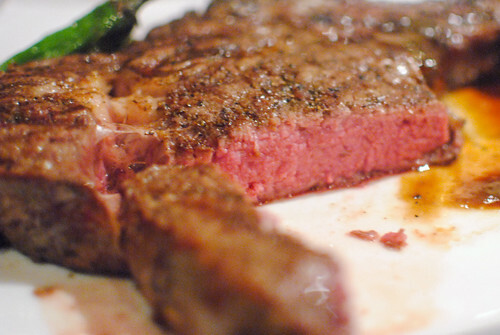 It was kind of a huge piece of meat, with a generous amount of the ribeye cap. Pretty delish! 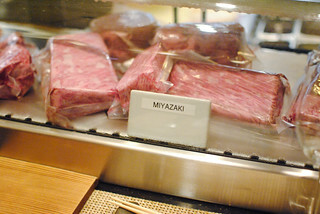 We couldn’t help ourselves, so we sampled some of the Japanese wagyu. 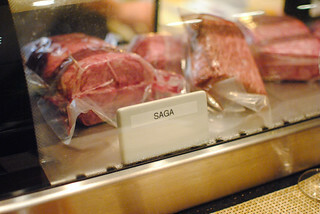 I believe this was a cut of New York, and it was pretty evident just from looking at it that it was a relatively lean piece of meat (for wagyu standards). 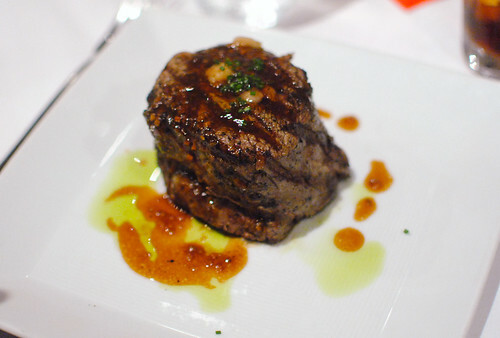 It was cooked well and was delicious, but there wasn’t a ton of difference between this steak and the others served. Having had the real deal less than a couple weeks prior, I was missing the characteristic richness that really separates this breed of beef. Not worth the $30+ per ounce price tag. 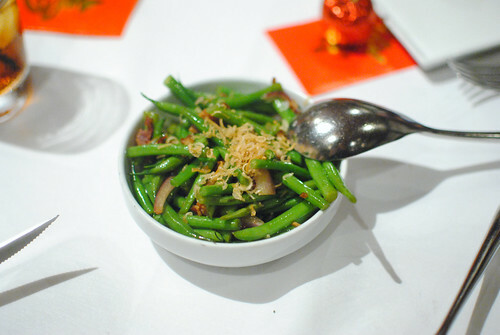 The side dishes were good, albeit not particularly memorable. 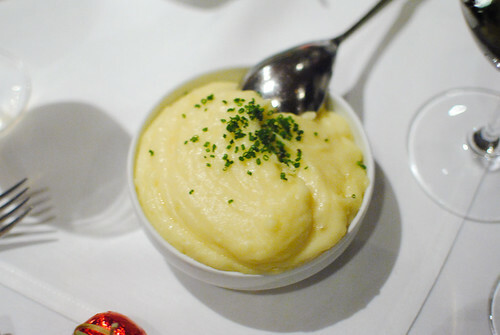 Having said that, I can’t think of any memorable steakhouse side dishes. For dessert, we brought a special cake from Schubert’s Bakery. 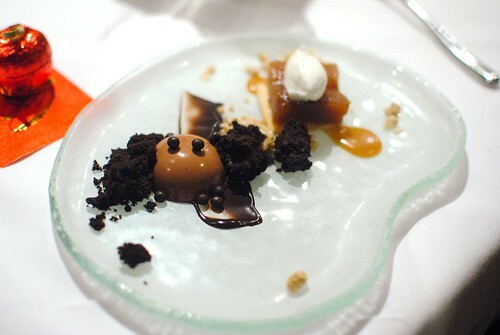 The restaurant also prepared a plated dessert – a duo from their menu. I found the chocolate dessert to be fairly one-note, but I liked the apple mille feuille a lot better. 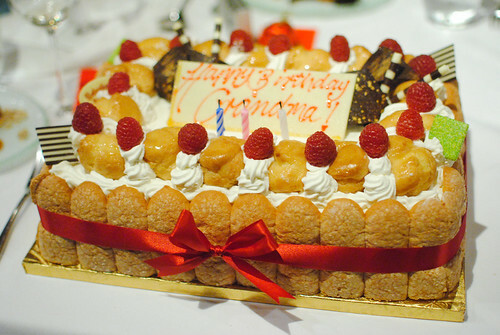 It was flaky and crispy with a nice light chantilly cream. The last thing from the kitchen was this fun end to the meal, though we didn’t make much of a dent into these given the prior desserts. I thought this was a very good meal; while there were a few criticisms, nothing really took away from the experience (well, except for the wagyu). Most importantly, I thought the steaks were top-notch and I thought the restaurant worked in the Japanese influences very well. I’ll have to return to sample more of the menu, but this could very well be my new favorite steakhouse. Though we weren’t seated in the main dining room, service was personal and attentive. It was a very fitting spot for this special occasion. I’m pretty sure I wrote this on Grandma’s last birthday post — I need to meet this woman! Grandma is the best cook who has even set foot on this planet.